From our offices in Normandy Park, the team at Kurt Bennett Attorneys offers experienced representation to clients with family law, criminal defense, immigration law or redemption law concerns. 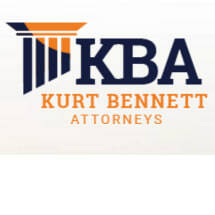 Our founding attorney, Kurt D. Bennett, has spent his entire legal career helping people who are facing a difficult legal situation. He understands that everyone can make a mistake, and this mistake shouldn't be something that prevents you from reaching your full potential - whether it was your mistake or some else's. Our attorneys work to develop a comprehensive strategy for your case. If you are dealing with a difficult family law issue (divorce, child custody, etc.) we propose solutions designed to protect your interests, as well as limit the conflict in your case. If you are facing a criminal accusation, we fight hard for your rights, and protect you from damaging data. If you are facing immigration issues, we discuss the options we can take to help resolve your case in a way that helps you remain in the country or even increase your status. If you need to revisit a past criminal matter to remove or seal a conviction, we can help you explore your options and then pursue remedies. As experienced trial lawyers, we know that in some circumstances, you are going to need a fighter who is constantly by your side when things get tough. We are not afraid to go up against prosecutors, the Department of Homeland Security or attorneys for the other parties involved in your case. We believe in your rights and that your voice should be heard. We are going to do whatever is legally necessary to help you get the second chance you deserve. Every problem has a solution, and being told "there is nothing that can be done to fix your situation" is rarely true. Usually what is needed is creativity, diplomacy, and hard work. Call us today for a free consultation, and we will tell you what we can do to get results for you.